What's So Special About Spring Salmon Fishing in Scotland? 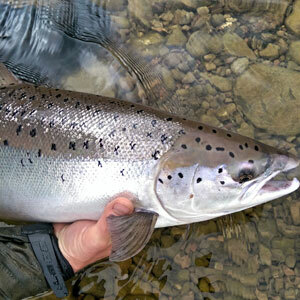 Spring Salmon fishing in Scotland is about catching large, fresh and powerful spring run Atlantic Salmon. You need to be prepared not to catch a lot of fish and have to be prepared to for some inclement weather, but if you do make contact with one of these amazing creatures, you will realise what it is all about! Our spring Salmon fishing days normally take place on the River Garry and River Oich where fish can be caught as early as January. The River Garry and River Oich are part of the upper Ness system with the fish coming in from the East coast from the Moray Firth, through the River Ness and Loch Ness before heading up to us to there spawning grounds in the upper system. Season – Jan 16th to 30th April.